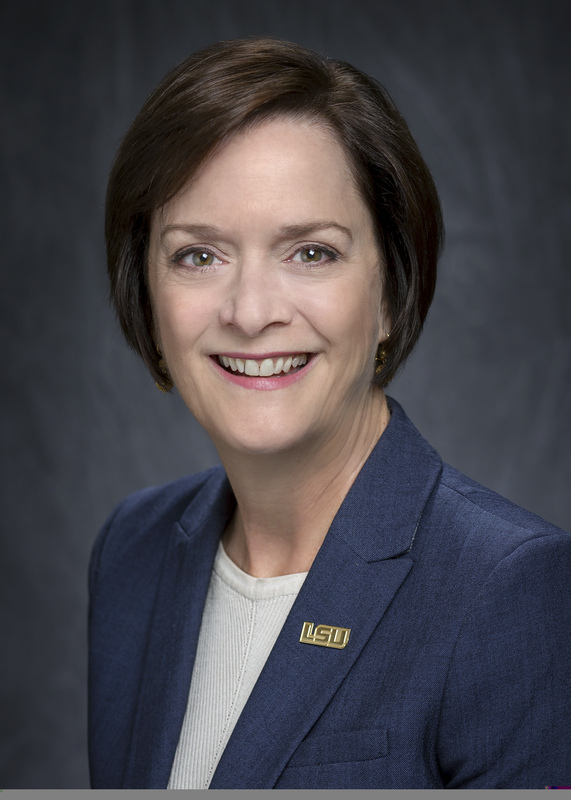 Executive Vice President and Provost Stacia Haynie has been an active member of the LSU community since joining the Department of Political Science in 1990. Dr. Haynie served as Dean of the College of Humanities and Social Sciences before being named Interim Executive Vice President and Provost in the LSU Office of Academic Affairs. Dr. Haynie earned the J. W. Annison Jr. Family Alumni Professor at LSU and has served in a number of administrative positions on the campus including Department Chair, Associate Dean and Interim Dean of the LSU Graduate School, as well as Vice Provost for Academic Affairs. Dr. Haynie received a bachelor’s degree in theater in 1981 and a master’s degree in political science in 1986, both from Midwestern State University in Wichita Falls, Texas. In 1990, she received her Ph.D. in political science from the University of North Texas. Dr. Haynie studies judicial politics with special emphasis on comparative appellate court decision-making. With support from the National Science Foundation and the Louisiana Education Quality Support Fund, Dr. Haynie and her colleagues C. Neal Tate of Vanderbilt, Reginald Sheehan of Michigan State University and Donald Songer of the University of South Carolina created a 10-country appellate courts data set. Haynie has particular expertise in the legal systems of South Africa, the Philippines and India. Her studies also include civil trial court decisions in U.S. state courts. Dr. Haynie taught courses in Judicial Politics, American Constitutional Law, Comparative Judicial Politics and American Public Law. Dr. Haynie has also been awarded the Arts & Sciences Professor’s Award for Distinguished Scholarship, the LSU University Alumni Association Faculty Excellence Award and the LSU College of Arts & Sciences Advisory Council Award for Excellence in Undergraduate Teaching. A Double Dawg from UGA College of Agricultural and Environmental Sciences, Sherry Abrams is passionate about supporting her alma mater and Georgia's leading industry. She joined the UGA CAES development team in 2016 as the annual giving coordinator. Her current role as associate director of alumni engagement and annual giving allows her to have one of the best jobs around. Before joining UGA, Sherry worked as a public relations director and fundraiser at a state technical college. She's also managed one of the largest Hackney Pony farms in the country, coordinated ag sales and marketing, and owned a feed store. Sherry, her husband and two boys live in their #littlehouseinthepasture that's a work in progress to become their dream farm in Oglethorpe County, Ga.
Karl Binns currently serves as the Lead Development Officer for the School of Agricultural and Natural Sciences at the University of Maryland Eastern Shore where he oversees corporate/federal partnerships and Alumni Engagement. On campus, Mr. Binns also provides leadership as Campus Coordinator for Thurgood Marshall College Fund, World Food Prize- State Coordinator and advisor for the nationally recognized UMES MANRRS Chapter. As founder of both Maryland Junior MANRRS Institute and Maryland World Food Prize Institute, Mr. Binns has pioneered massive change in Maryland. Karl has been coined the "premier 1890 Land-Grant Ambassador " in the nation and is passionate about ensuring all students gain awareness and access to careers in Food, Agriculture and Natural Resources. Mr. Binns is serving as the National President-Elect for MANRRS providing strategic leadership for undergraduate and graduate initiatives. Karl is also an International Herrsching Fellow and LEAD Maryland Fellow. Mary Buschette has served as Director of Alumni and Constituent Relations at CFANS since 1996. Under her leadership, programming has expanded to reach more alumni and includes three successful signature programs: a mentor program that matches students with industry professionals; Classes Without Quizzes, a half day educational program for alumni and friends that features faculty research; and Borealis Night of Excellence, a recognition program for the CFANS community. Prior to working in alumni relations, she was a program coordinator for MAST International, an agricultural exchange program based at the U of M. Mary is a proud University of Minnesota alumna earning her bachelor's degree in agricultural economics in 1987. Nominated as a Community Connector through Pollen in 2013, she was recognized as a member of the community who is getting things done by bringing together ideas, resources, and multiple stakeholders to make things happen. Christy Chiarelli is a senior director of development for UF/IFAS. Originally from Laurel, Mississippi, she is a past National FFA Officer and a double Gator. Christy and her husband,Elio, live in Gainesville with their two children. Ashley has over 13 years of experience serving young professionals as they pursue careers in the agricultural industry. Currently, as the Director of Collegiate Relations with Agriculture Future of America, Ashley develops and executes strategies with universities across the country to promote AFA's mission of building bridges for young leaders to foster engagement and innovation in food and agriculture. Prior to joining AFA, Ashley served as the Education and Marketing Manager for AgCareers.com, where she managed a variety of student outreach initiatives. Ashley is a graduate of NC State University, with a bachelor of science in Agricultural Education, as well as a graduate of North Carolina A&T State University with masters of science in Agricultural Education. Ashley serves as a member of the National Teach Ag advisory board, and the North Carolina FFA Foundation Board. Haley Cook is the assistant director of alumni relations for Iowa State University's College of Agriculture and Life Sciences (CALS). In her role she assists the college through co-management of CALS social media platforms, alumni programs and events. She coordinates the college's young alumni program, Curtiss League. Katherine Davies is a Director of Development at the University of Florida, Institute of Food and Agricultural Science (IFAS). During her 10+ years as a fundraiser at UF she has worked at the UF College of Veterinary Medicine and now leads IFAS' Extension Efforts. Nick Dolce has over a decade of higher education fundraising experience, focused on agricultural and environmental sciences areas at land-grant institutions. Nick came to UC Davis in 2014, starting in the School of Law before moving to the College of Agricultural and Environmental Sciences in 2017. Prior to UC Davis, he was a major gifts officer at the University of South Carolina's College of Hospitality, Retail, & Sport Management, Iowa State University's College of Agriculture & Environmental Sciences, and University of Illinois-Springfield Athletics. Nick began his career in retail politics and constituent services. Nick holds a B.S. in Natural Resources & Environmental Sciences and an MBA from the University of Illinois. Deacue Fields III was named dean of the Dale Bumpers College of Agricultural, Food and Life Sciences on Dec. 5, 2017, after serving as professor and chair of the Department of Agricultural Economics and Rural Sociology at Auburn University for just over four years. He was previously associate professor and coordinator of the Alabama Farm Analysis Program with the Alabama Cooperative Extension System and the Department of Agricultural Economics and Rural Sociology at Auburn for almost two years. As dean, Fields manages the budget, operations, personnel and academic programs of the college. He promotes collaboration and good relationships between the college and the Division of Agriculture, including working with the division to ensure strong academic programs, increases in research funding and impact, and effective partnerships with Arkansas' agricultural, food and life sciences stakeholders. Pamela A. Gray M.P.S., Senior Director of Philanthropy and Alumni, joined the University of Kentucky's College of Agriculture, Food and Environment in September 2016. Her primary focus involves leading a team of 8 in all levels of engaging alumni of the College in giving back to the College and on a larger scale the University. She serves as the highest level major gift officer at the College and focuses on potential gifts of $250,000 or more. Spanning 24 years, her development experience includes Rice University, Alzheimer's Association, Boys & Girls Clubs of America, University of Denver, the National Multiple Sclerosis Society, Colorado Cattlemen's Association, Colorado Historical Society and Humane Society of Denver, Inc. She has experience in all levels of the development cycle and has served in many roles throughout her career--chief executive officer, fundraising data manager, major gift officer, principal gifts officer, planned giving/gift planning officer. Before joining CAES in 2013 as director of annual giving, Suzanne Griffeth served in alumni relations and development for the UGA Law School and the UGA College of Family and Consumer Sciences. In 2015, she was named CAES director of alumni engagement. In her current role, she leads a robust alumni association along with alumni initiatives at UGA CAES. Over the past two years, she's guided the association through a bylaws rewrite and strategic planning so the organization can continue to serve with high impact to the college and alumni base. Suzanne is a graduate of the UGA College of Family and Consumer Sciences. She resides in Athens, Ga, with her husband and three children. Joel Hartman is Senior Director of Development, College of Agriculture, Purdue Research Foundation. He has worked in a number of development positions over the past ten years. Joel has a Masters from North Park University and his BA from Purdue University. He has been with the College of Agriculture advancement team for 7 years. Cody Helmer is the Executive Director of IFAS Advancement. A UF alumnus who has worked at the University of Florida Foundation for almost twenty years. Cody and his wife, Michelle, live in Gainesville with their son. Caylin Hilton is the Associate Director of Annual Giving and Engagement for the University of Florida Institute of Food and Agricultural Sciences (UF/IFAS). She manages the annual giving and stewardship programs for donors to UF/IFAS and the College of Agricultural and Life Sciences, as well as engagement strategies for stakeholders including major events and volunteer board engagement. Caylin has seven years of experience in higher education development and enjoys working for a unit she is passionate about as a Florida 4-H and CALS alumna. She graduated from the University of Florida with a B.S. in Forest Resources and Conversation and M.A. in Political Science including Graduate Certificates in Public Affairs and Fundraising Management. A native Floridian, Caylin enjoys traveling to Florida's parks and hosting Gator watch parties. She lives in Alachua with her husband, Terry, their daughter, Delaney and their pups Thea, Maisie and Emmie. Kevin Kent is a second-year Ph.D. student studying agricultural communications at the University of Florida. Kevin received his Master's degree in Media Design from Full Sail University and a bachelor's degree in Agricultural Education and Communication, specializing in Communication and Leadership Development, and minoring in Leadership. Kevin joined the UF/IFAS Center for Leadership in 2017 after serving as assistant director of the Florida FFA Association for eight years. His research is focuses on using innovative communication technologies to better equip communicators and leaders to share agriculture's story. Cameron Mann is the Manager of Development Operations and Donor Stewardship for the College of Agriculture at Purdue University. Cameron is a Purdue Agriculture alumna with a BS in both Agricultural Communication and Agribusiness Marketing. When Cameron is not working, she enjoys following college basketball (Boiler Up! ), reading, and spending time spoiling her nieces and nephew! Jim Miller is the Director for Development and Capital Projects Analyst for the College of Agricultural and Life Sciences at the University of Idaho. Jim focuses on securing major gifts for CALS, particularly for capital projects. He is the campaign director for the Center for Agriculture, Food and the Environment, one of the university's top initiatives. 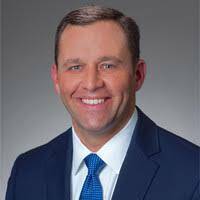 Jim started in CALS in May 2018 and previously served as the Director of Sales and Marketing for CHS Primeland. Additionally, Jim and his wife Kathy co-own Palouse Animal Wellness and Surgery Center in Moscow. 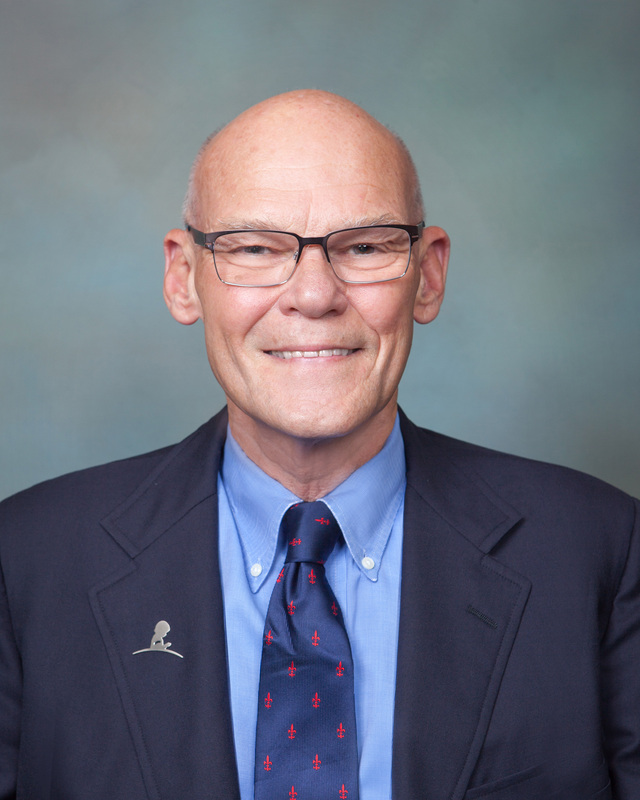 Outside of his professional roles, Jim has held numerous leadership positions for various volunteer organizations including Idaho 4-H, the Moscow Chamber of Commerce, Leadership Idaho Agriculture, and the Far West Agribusiness Association Conference Planning Committee to name a few. Originally from Moscow and a proud Vandal, Jim has a B.S. in Agribusiness from the University of Idaho. Rebecca is the events manager for the College of Agriculture and Life Sciences at Texas A&M University. In this position, she handles large scale events for the College of Agriculture and Life Sciences involving students and stakeholders alike. She manages the AgriLife Center and Gardens venues as a part of the Agriculture and Life Sciences complex and oversees all events which occur in this facility. Dr. Bill Richardson has served as Dean of the LSU College of Agriculture since 2013, which marks his second term as Dean. His previous term was from 1992 to 1997. Dr. Richardson is also LSU's Vice President for Agriculture and oversees the LSU AgCenter. His vision for the college includes giving students a dynamic academic experience in agricultural sciences through innovation and collaboration in a diverse and supportive environment. A native of Kennett, Missouri, Dr. Richardson received a bachelor's degree in 1966 and a master's degree in 1968 from Arkansas State University and a doctoral degree in agricultural education from the University of Missouri in 1972. Sarah Roelfs is a Senior Director of Development at Iowa State University in the College of Agriculture and Life Sciences (CALS). In addition to fundraising responsibilities Sarah also supervises development officers in the college. Sarah grew up on a family farm in Northern Iowa and majored in Agricultural Studies at Iowa State. She resides on a small acreage south of Ames with her husband, Tyler, and their four children. Jen Root is the Senior Director of Development for the College of Agricultural and Life Sciences at the University of Idaho. In this role, Jen leads the CALS Development Team in securing resources for the college's ambitious initiatives. Prior to coming to the University of Idaho in 2013, Jen worked in development for multiple non-profits, giving her over 14 years of collective fundraising experience. Jen has a B.S. in Business Management and Entrepreneurial Studies from Paul Smith's College and an M.B.A. from Clarkson University. Jen serves on the Board of Trustees for the Latah County Library District and previously served on the NAADA Board of Directors. Though she grew up in the city, she now enjoys life in Northern Idaho, raising pigs, chicken and sheep on her small farm with her husband and seven-year-old son. Amanda Saha serves as the Director of Career Development and Enrichment at the University of Kentucky, College of Agriculture, Food, and Environment. In this role, Amanda coordinates professional development events, teaches courses and workshops, manages relationships with employers, and provides one on one career coaching to undergraduate and graduate students. Amanda also coordinates high impact experiences for students including education abroad, service learning, and undergraduate research. Amanda also provides coaching and consulting to clients and groups outside of the university setting with a focus on career coaching, strengths based leadership, and personal branding, and personal sustainability. Amanda received her Bachelor of Science in Agricultural Education from the University of Kentucky and was awarded a Master of Science in Agricultural Communication from the University of Florida. Amanda is also a certified Strengths Coach through the Gallup Organization. Jarred serves as the marketing and communications specialist for the Department of Agricultural Education and Communication at the University of Florida, where he is also a graduate student. He graduated from The Ohio State University in 2017 with bachelor's degrees in agricultural communication and public affairs. In his role, he maintains department-level social media and web pages, writes news and feature stories, and assists in recruitment efforts, while developing a new alumni engagement strategy for recent graduates. Lindsay Skinner is Asst. Director of CALS Alumni in Friends at NC State University. She graduated from NC State in 2011 and returned to the University in 2014 to work at the NC State Alumni Association with Student and Young Alumni Programs. In 2017, she began her role in CALS leading Alumni Engagement. Bobbi Jo Smith is an Associate Director of Development at Iowa State University in the College of Agriculture and Life Sciences (CALS). As a major gifts officer, Bobbi uses her eleven years of higher ed experience to strategically advance donor relationships using collaborative, donor-centric approaches. A native of central Iowa, Bobbi lives in the rural community of Madrid with her husband, Scott, and their three children. Tommy Van Norman is the Program Coordinator for the Land-Grant Legacy Scholars Program at the University of Minnesota. He is a University of North Dakota alumnus and earned his Master's degree in Educational Leadership with an emphasis in Higher Education. His interest in access and success programs started when he worked with provisional admits and probationary students while in graduate school. Tommy started his professional career with the Purdue Promise program at Purdue University, before moving to the University of Minnesota to establish a new access program for rural students in the College of Food, Agricultural and Natural Resource Sciences. In her position since 2011, Emily works as the Communication and Undergraduate Program Manager for the Department of Agricultural Communication, Education, and Leadership at The Ohio State University. Undergraduate recruitment, social media, alumni relations, student retention and blogs are just a few of the things she manages as she coordinates activities for ACEL students and helps the department grow. Emily graduated from Ohio State with a degree in agricultural communication and worked in local government communications for four years following her first round as a Buckeye.